Our driver in Naples was Crazy Carmine, who was proud of the fact he once drove Sofia Loren. And he eagerly showed us pictures for proof. 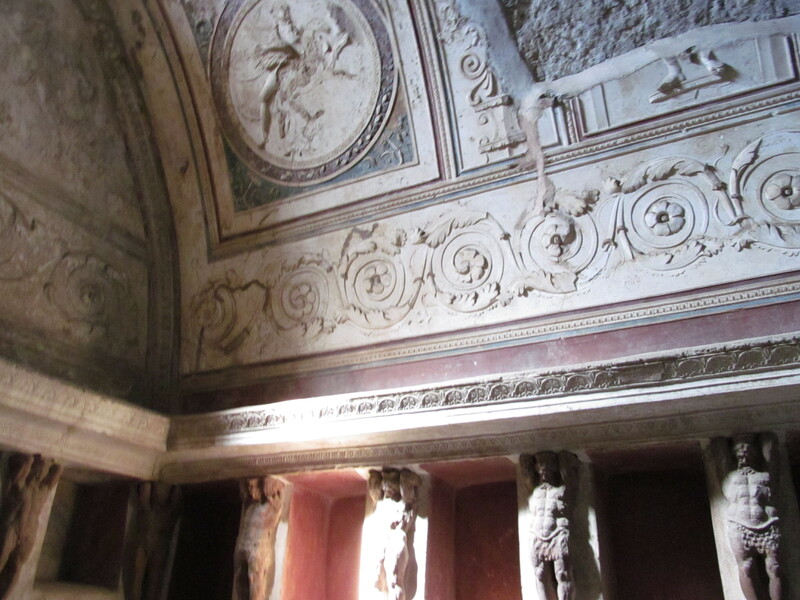 Our first stop was to Pompeii, which is one of the most important sites ever discovered. 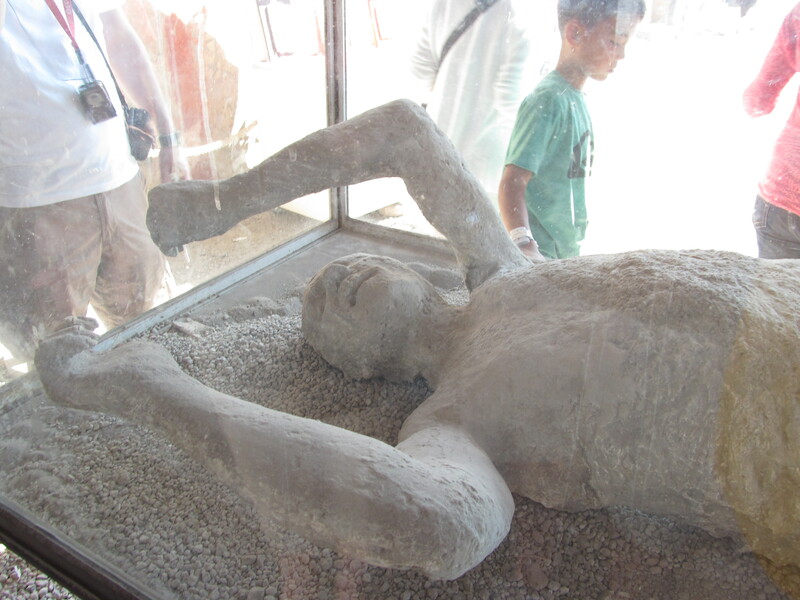 In 79 AD, Mount Vesuvius erupted and buried the city in 20 feet of ash. Again, we hired an additional private guide because they needed to be licensed. His name was also, Carmine. It really is amazing that things really have not changed since 79 AD. They had running water, steam saunas, etc. The shop fronts still show evidence that they used sliding doors vs. regular swing doors. They were absolutely brilliant people. They had one way and two way streets for traffic flow. 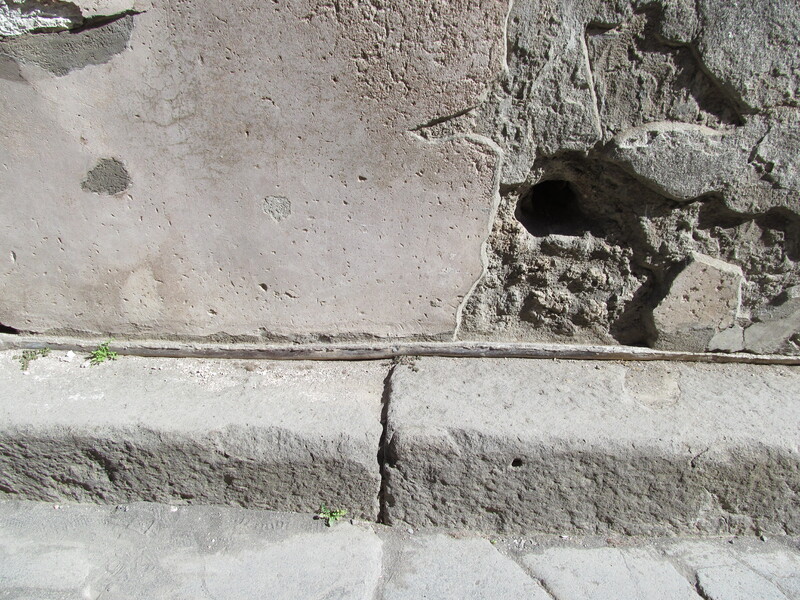 They were identified by the number of “walking” stones that crossed the street. 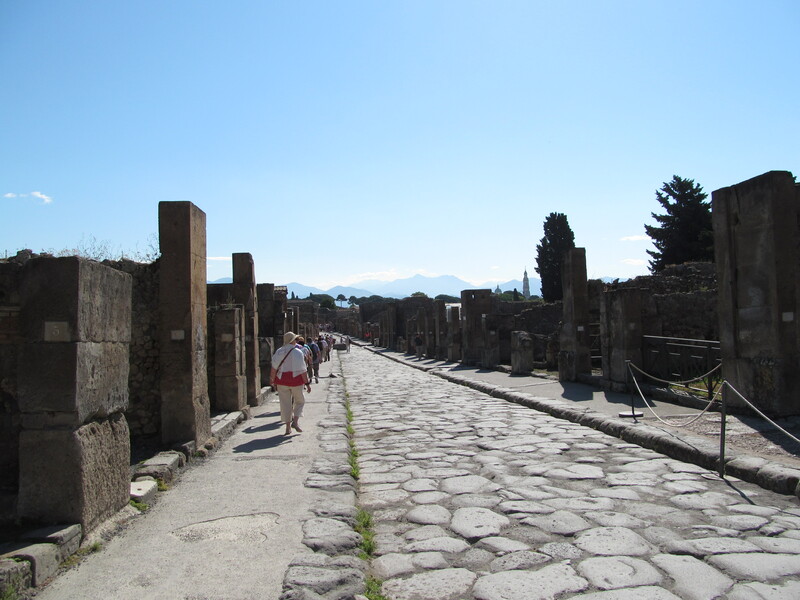 The city of Pompeii use to be right along the water and was a busy market. 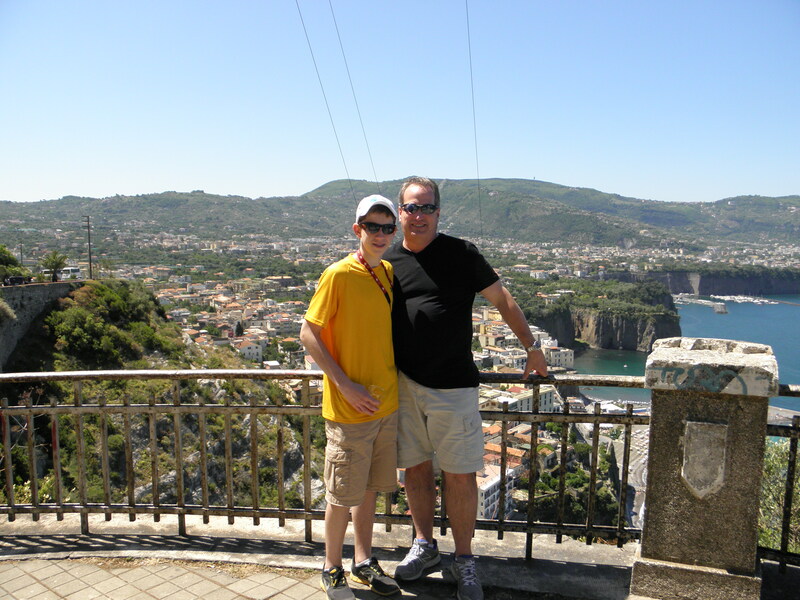 We then headed off to Sorrento and the beautiful Amalfi coast. Talk about going from one extreme to the other. 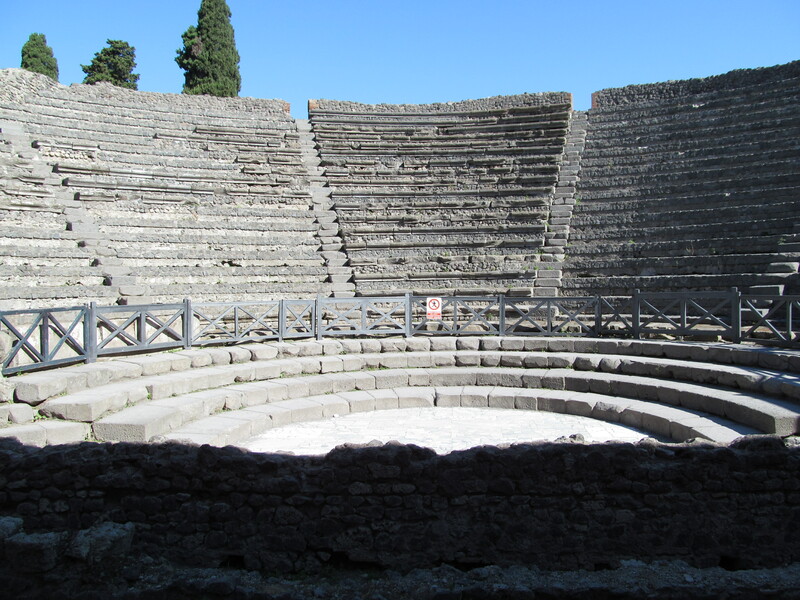 We saw ruins and dirt in Pompeii to the beautiful scenery of the Amalfi coast. We decided this is one place we would love to come back to visit for a longer stay. It is stunning and hard to explain the beauty. 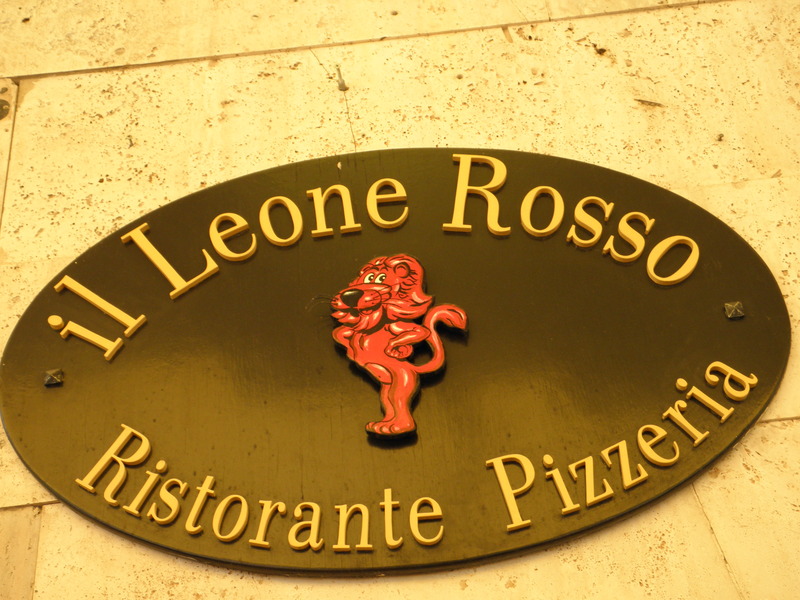 Again, we had another pizza lunch (our request) in a cute little restaurant in Sorrento, Il Leone Rosso. We would highly recommend. 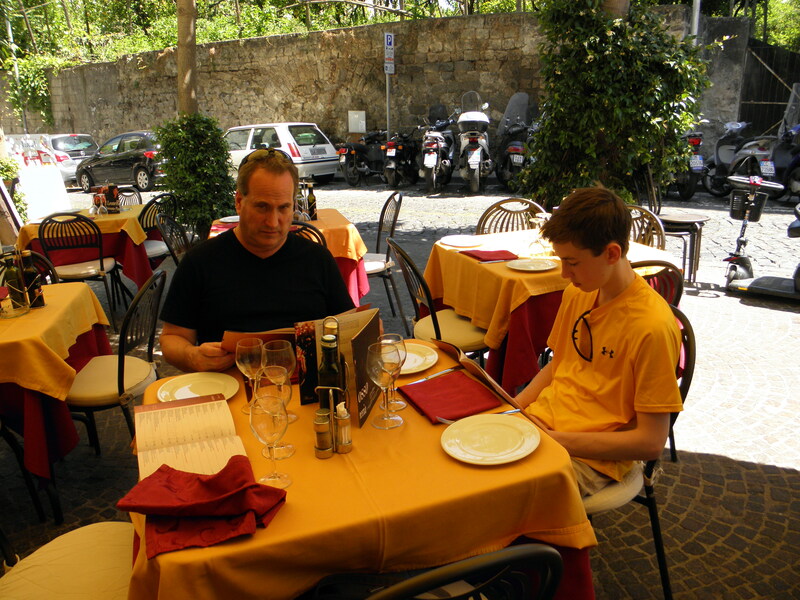 After lunch we took a little free-time to walk the streets of Sorrento and get a little gelato for lunch. 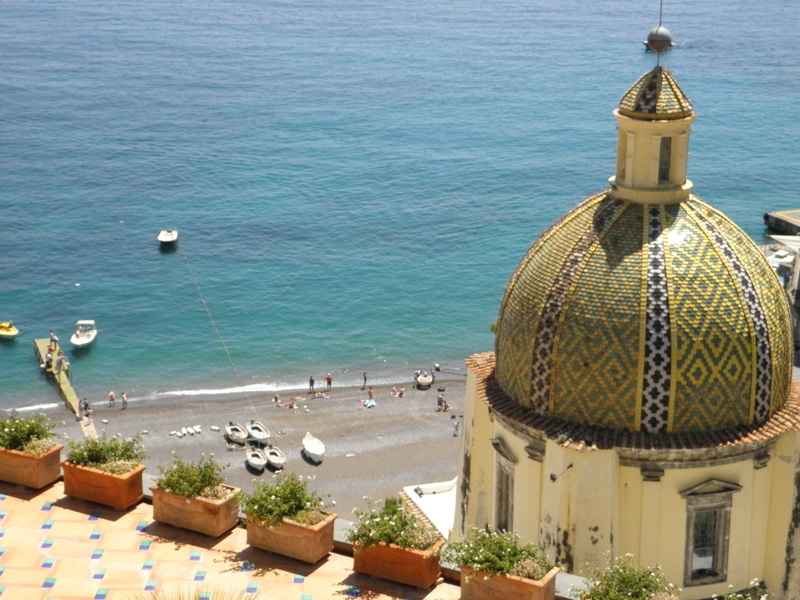 We were then off along the Amalfi cost to Positano, which is even more beautiful than Sorrento. 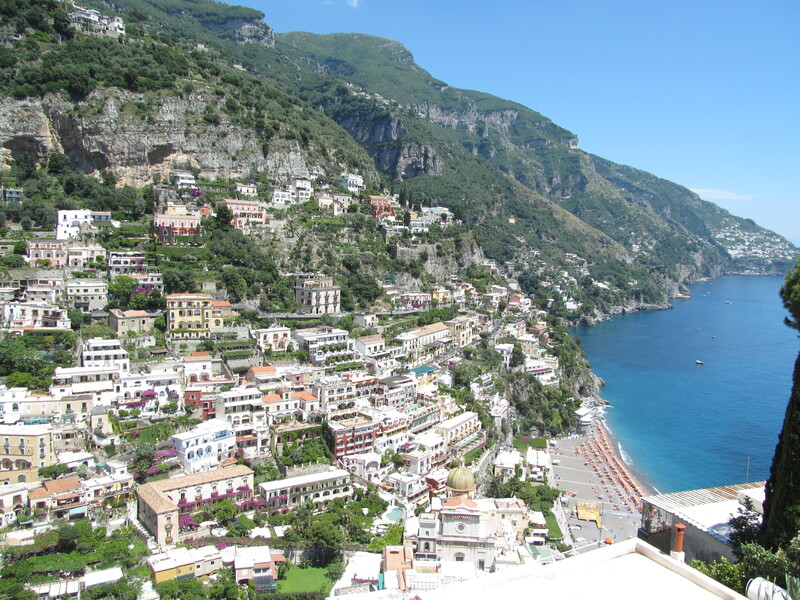 According to Carmine, it is favored more by Americans than Sorrento because it is a little more posh and the accommodations are nicer (but very expensive). This was one of our favorite excursions. We definitely want to come back to Sorrento and/or Positano for a much longer stay. The views are absolutely breathtaking. Thank you so much for posting your restaurant photos! We just returned from a Med Disney cruise and also ate here but somehow I only took pictures inside the restaurant & forgot to take a picture of the name of it. The service here was fantastic and it was so nice to have a table-service meal instead of just getting food quick on the go for lunch. We loved that restaurant too. Our goal is to go back to Sorrento for an entire week. That was one of our favorite ports of call.